The Assembly of NGOs in Belarus, which had to be registered outside the country, has 302 community organizations and initiatives now. All of them are solidary in favor of the abolition of the shameful and pointless article, according to which any social activist already at the stage of operation of the Public Initiative falls under the repressive regulations and can be persecuted under the threat of imprisonment. This restriction of the right to freedom of association is contrary to the Constitution (Article 36) and the international obligations of Belarus (Article 22 of the International Covenant on Civil and Political Rights). Experts of international law of the Venice Commission of the Council of Europe consider this article to be absolutely unacceptable and note the certain need for its quickest annulling. In spite of this, the article still exists and is the obstacle to the development of civil society, a tool for political persecution and discrimination on the question of belief, freedom of conscience and belief and expression of Belarusian citizens. - Citizens of Belarus mustn’t be restricted in those rights possessed by citizens of other European countries. Moreover, these rights are guaranteed by the Constitution and the International Covenant! And only one thing is needed for this: the basic law of the country must operate and the international obligations of civil and political rights must be carried out unconditionally, as required by the Vienna Convention “On the Law of Treaties” and the relevant rules of national law. Indeed, Article 22 of the International Covenant on Civil and Political Rights (ICCPR) and Art. 36 of the Constitution of the Republic of Belarus guarantee this right, which is a basic and inalienable in many of generally accepted international standards of law for the Covenant signatory countries and UN member. Discriminatory state on the territory of Belarus is the evidence of disrespect for the inalienable right of every citizen, to the authority of the people of Belarus as a whole! This is an obvious evidence that the current political regime in the country completely ignores the constitutional rule of law and replaces it by completely illegitimate unconstitutional regulations, ideological expediency and works to preserve the administrative-command hierarchy of the “vertical of power”. The regime is not simply substituting the constitutional legitimacy, it actually works outside the Constitutional and international treaties on human rights, directs all the resources of the administrative-command system and the States to retain not a constitutional, but an anti-constitutional regime in the country. The position of the member of the Assembly of Democratic NGOs of Belarus Siarhey Lisichonak to the problem of Art. 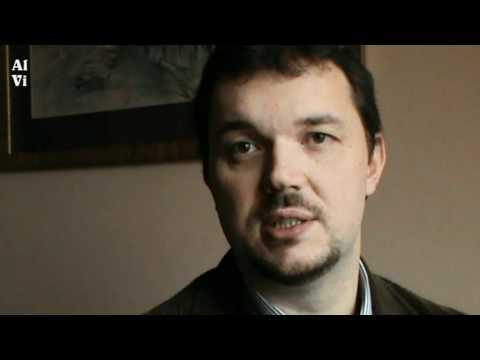 193.1 of the Criminal Code of Belarus is HERE – VIDEO.